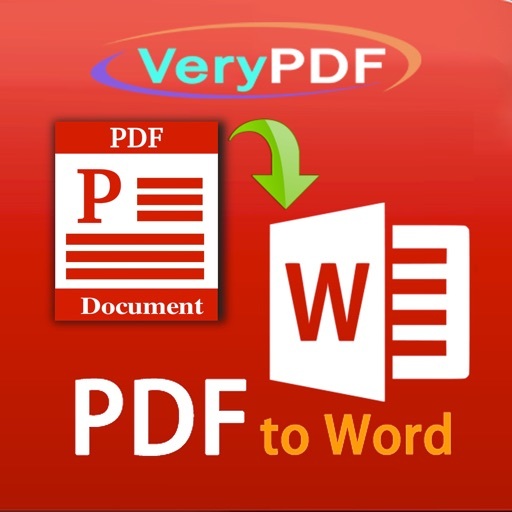 VeryPDF PDF to Word Converter for iOS does convert your PDF files to editable Word files on your iPhone and iPad. Convert PDF to Word; Convert PDF to Text; Convert PDF to JPEG; Convert PDF to PNG; Convert Office to PDF; Convert HTML to PDF; and more functions to process your documents. 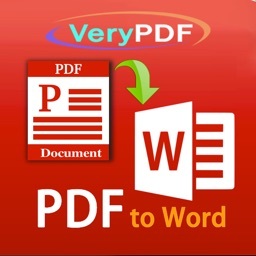 VeryPDF PDF to Word Converter for iOS is an utility designed to convert Adobe PDF document to Microsoft Office Word files (.rtf), PDF to Word can keep the original content, layout and formatting for easier editing or reusing the content, support opened in popular mobile office editor app (such as: Microsoft Office Mobile, Polaris Office, Smart Office or QuickOffice). 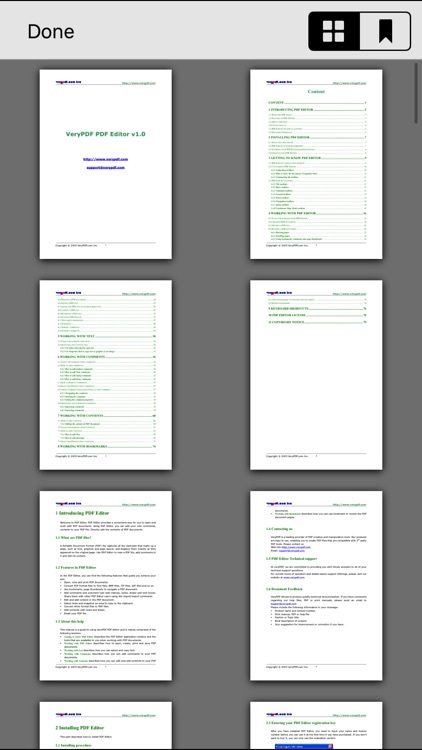 Convert from PDF to Microsoft Word documents and edit them with Office for iPad or other editors. * Easily import PDF, convert a 50 pages PDF to Word within 10 secs, Extremely fast!! * Support convert PDF to Word, RTF (.rtf), Text (.txt) and Image (.jpg, .png) formats. * Conversion Process 100% on your local iOS device, No internet connection need. * Output well organized Word content, preserving content layout, the color, font style and images remain the same as the original pdf document, Very convenient tool. * Support Microsoft Office 2003, 2007, 2008, 2011 Word Applications, not completely compatible with iWork Pages. 1. 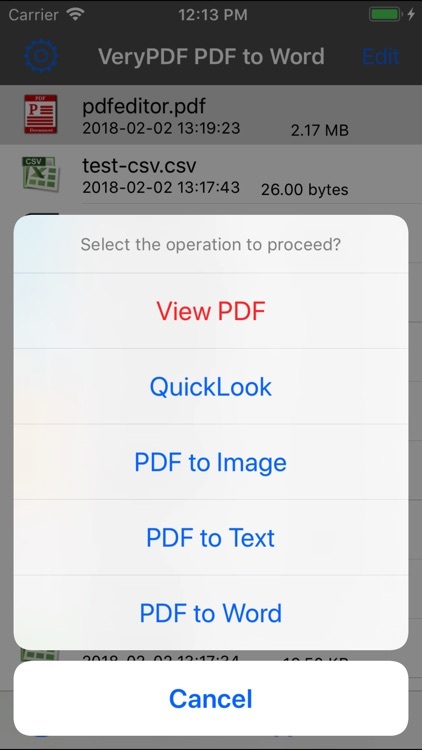 Open Mail app, use "Open In.." to send source PDF file to "PDF to Word". 2. 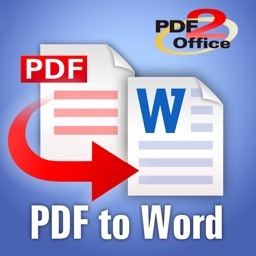 Go to "PDF to Word" app, touch on PDF file, click "PDF to Word" button to convert this PDF file to Word document. 3. Transfer the converted RTF file to others via WiFi Sharing, they can reuse Word document in MS Word application easily. * Build in Word Viewer. * Convert PDFs to editable Word files. * Dropbox integration allows you to transfer files between your Dropbox account. 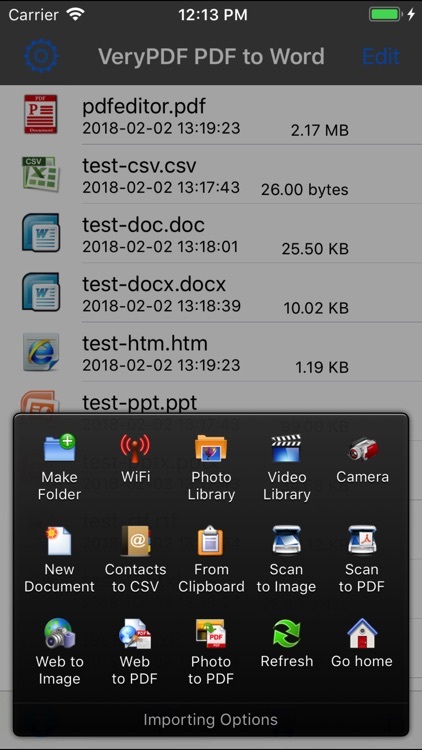 * Use WiFi Transfer mode to upload and download files between your computer and iPhone. * Import PDF from Mail, Safari, PDF Reader, GoodReader, Dropbox and other apps ("Open In..." function). * Mail out documents as email attachments or Send files to other apps("Open In.." integration). * File manager, rename, copy, move, delete and compress. * USB file transfer (iTunes USB file sharing). * Support both iPhone and iPad! * Import and convert files from your mobile device, email, or other online storage services such as Dropbox. 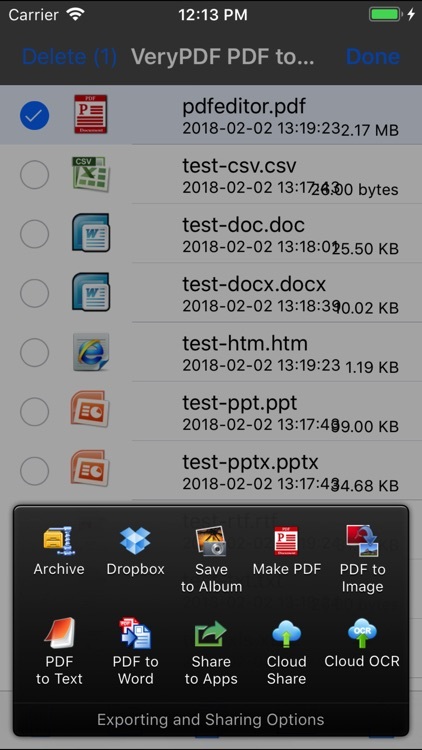 * Once your file is converted, open and edit it in other apps such as Office for iPad and QuickOffice or upload it to Dropbox or other storage services. * Easy to use: simply import the file into the app and conversion will instantly start. 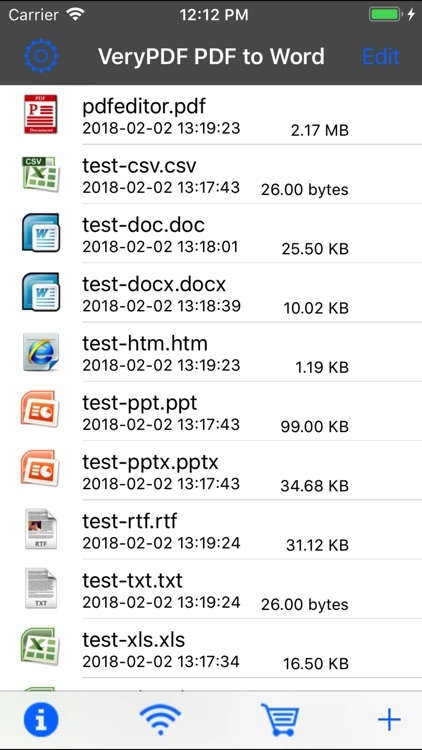 * Offline Conversion, all conversion will be done in your iPhone or iPad, no any data will be sent to VeryPDF Servers, this will 100% protect your PDF files. * Support PDF in languages of English, French, German, Italian, Chinese Simplified, Chinese Traditional, Czech, Danish, Dutch, Japanese, Korean, Norwegian, Polish, Portuguese, Russian, Spanish, Swedish, etc. 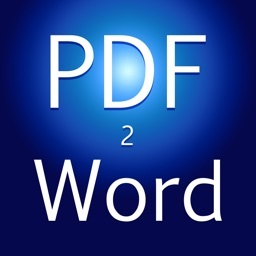 Note: VeryPDF PDF to Word Converter for iOS does not perform Optical Character Recognition. An image in a PDF file is treated as an image.